Bordered on two sides by the Ionian and Adriatic seas, Puglia is a long sliver of land that stretches along the heel of Italy. In between you'll find some of the best riding in all of Italy, along peaceful backroads. Rolling through this farmland rich in Greek, Norman and Arab influences feels like a mystical odyssey through time. Start from Savelletri as fig trees, blooming cacti, and herb gardens fill your path with delightful fragrances. 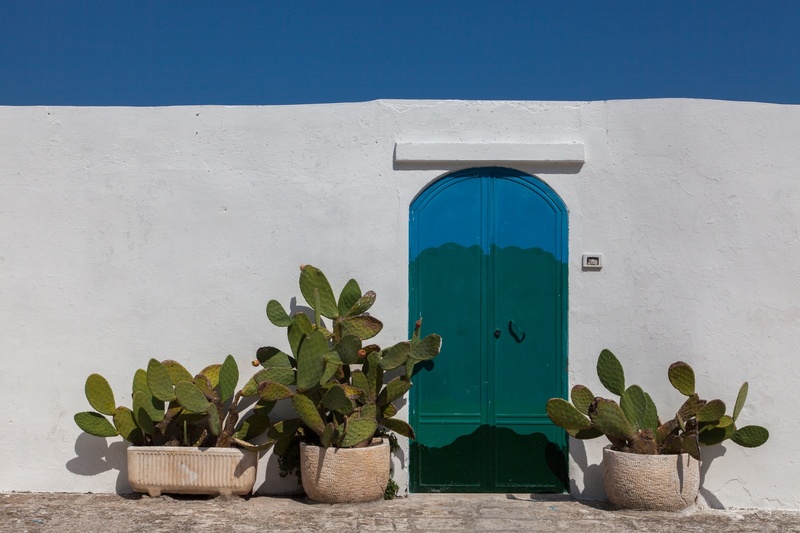 We ride through one of the gems of Puglia: the Valle D’Itria. In Alberobello, the trulli region, spin by clusters of fantastic conical dwellings surrounded by enormous, gnarled olive trees. Spicy handmade orecchiette, bruschetta covered with juicy tomatoes, roasted red peppers and grilled calamari satisfy our palates. Warm hospitality and friendly conversation greet us at every turn. 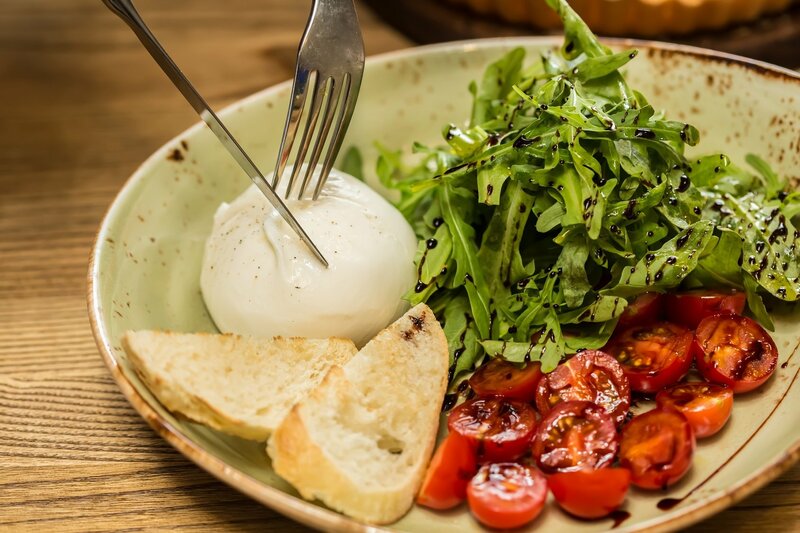 While many regions of Italy boast of having “the best food,” Puglia could humbly claim this title due to using simple preparations that allow the true flavors of the food to stand out. Slow Food has over 300 chapters here (called Presidi) to protect biodiversity and traditional production. The program has a spectacular ending in Matera (City of Stones), in the region of Basilicata. Your guide will meet you at the Bari airport at 12pm for a transfer to the first hotel (approximately 45 minutes). We will gather at the hotel for introductions, bike fitting and a short ride. On this first ride we pass through ancient olive groves and pedal along the coast to the Greek ruins of Egnazia, the ancient Messapian town of prehistoric origins. We will enjoy our first dinner together at the hotel restaurant. 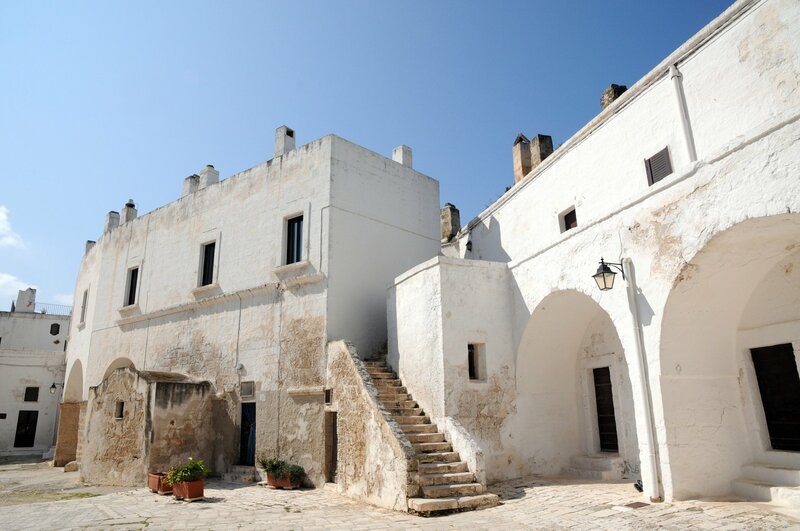 We will ride through Ostuni, an area that has been inhabited since the Stone Age. 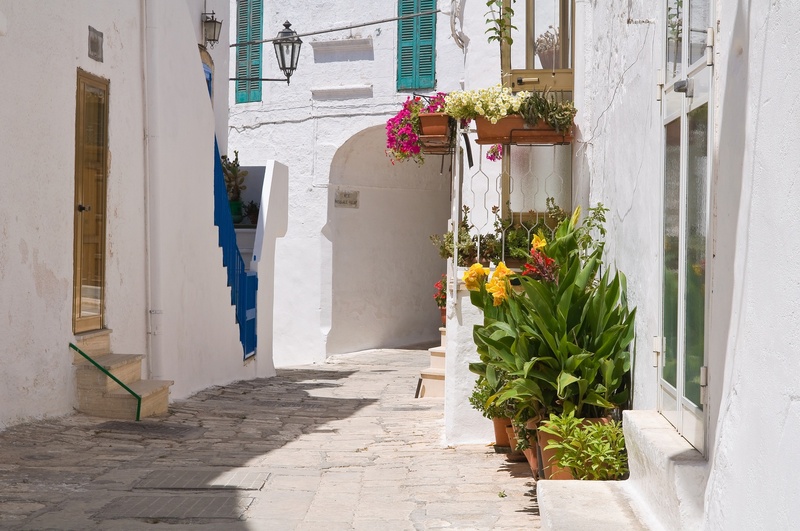 Bike to one of the loveliest towns along the Mediterranean where white houses, piled like sugar cubes against an azure sky, remind you of the Greek Islands. The brightness of its whitewashed houses, set against a sea of stately olive trees, provides a spectacular perspective of this rich seaside farmland. 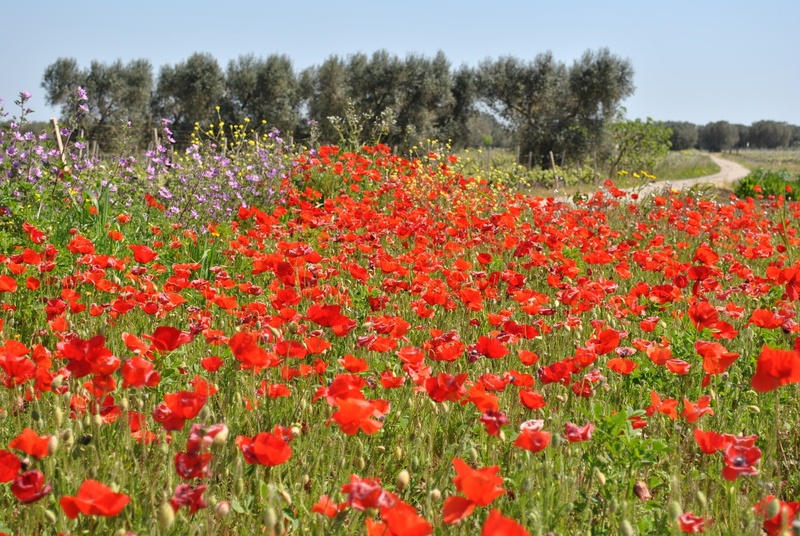 Pass through ancient olive groves, and pedal along the coast before going inland towards Cisternino. As we gain elevation we’ll enjoy a majestic view of the Adriatic sea. On the way back ride by centuries-old olive trees that are like amazing natural sculptures. Lunch is a seafood lover’s delight right by the water. The hotel is just a few hundred meters from our lunch spot, and you will be back for a free afternoon when you can take advantage of the swimming pool and the spa facility or head to the private beach. 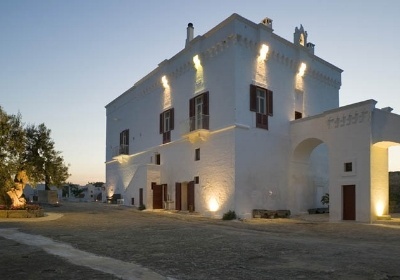 For dinner we will have a fun and instructive cooking class of typical Pugliese dishes at a nearby masseria (dialect for fortified farm house). Today we ride through a fantasyland of conical-shaped houses called trulli. Via tiny roads, roll through Valle d’Itria to arrive in Locorotondo, where we will have a wine tasting. We will then continue our ride onto Martina Franca where we will enjoy lunch on the main square at and we’ll get to enjoy some of the best examples of Italian Baroque architecture. In the afternoon we visit the award-winning Frantoio Intini, an olive oil press which has embraced the Slow Food movement under the multi-generational management of Pietro Intini. We will then continue on to Alberobello, which takes its name from the forests that once covered the area. Nowadays, this is where more than 1,000 trulli can be found. This is a must-see, one of the most emblematic sights in Puglia. In the morning we will have a guided walking tour of Alberobello and then you’ll have free time to continue exploring this magical city on your own. In the afternoon we’ll meet for a ride in the lush countryside surrounding Alberobello, followed by a wine tasting at the Albea Winery & Museum. Dinner in town will feature the typical, flavorful dishes of the region. Today we say goodbye to Alberobello and pedal to our first stop at the Cantina Barsento Winery in Noci to visit their underground passages carved out of rock. We’ll then stop for lunch in Mottola, a charming Pugliese town, where we’ll have a picnic of fresh local products. Mottola is located on a hill above the sea and has a view of the Gulf of Taranto and the green mountains of the high Sila; for this reason the town is also called “the Balcony of Southern Apulia.” In the evening we’ll enjoy an interesting, hands-on mozzarella making demo and an exquisite dinner at the hotel, a restored Ducal villa built in honor of Isabella de’ Medici. We spin along the Murgia plain through a bucolic terrain of rolling fields of “grano duro” (the wheat used for pasta) and shady oak groves. We climb to Matera, the city of caves and one of the most extraordinary spots on Earth. 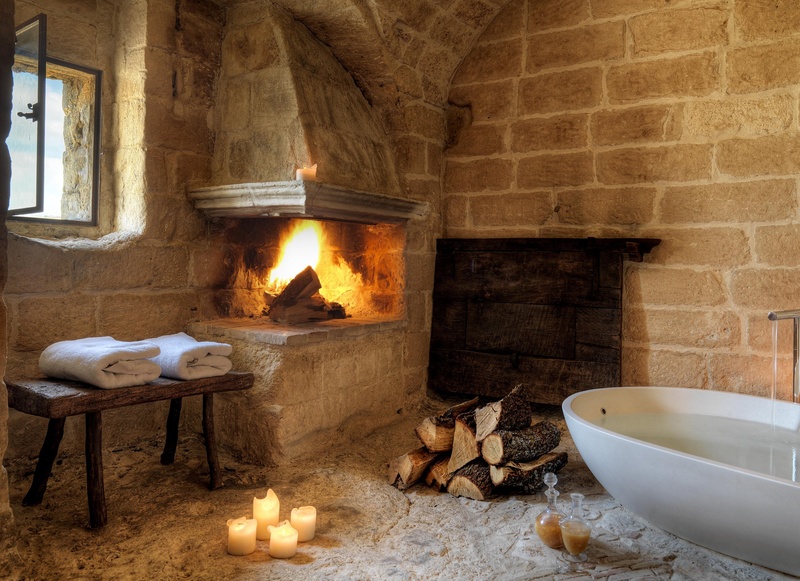 UNESCO lists Matera as one of its Official World Heritage sites for its Sassi cave dwellings. In the rock churches, the mystic past is palpable, especially in the crypts of San Nicola and Santa Margherita, and in the afternoon we will discover even more of Matera’s secrets on a guided visit. This evening we will have a wine tasting at 19ma Buca, an enoteca housed in one of Matera’s Caves just under the main square. Today’s ride takes us to the countryside in the fertile Metaponto Valley where we’ll stop at a beautiful organic farm where our hosts Cinzia and Fulvio will proudly serve vegetables grown on their land. In the afternoon, you can opt to climb back or to take advantage of our van for the ride back to Matera. You will have some spare time for shopping before dinner at I Baccanti with typical Lucanian delicacies (Lucania was the ancient name of Basilicata). Goodbye! After breakfast, we will arrange a transfer that will take you to the Bari Airport in time for your connecting flights. Recreational/Active/Athletic - Active: 20 to 50 mi a day along rolling terrain. On D2 and D7 we will have two longer climbs to reach Ostuni and Matera (feel free to use the van for those). 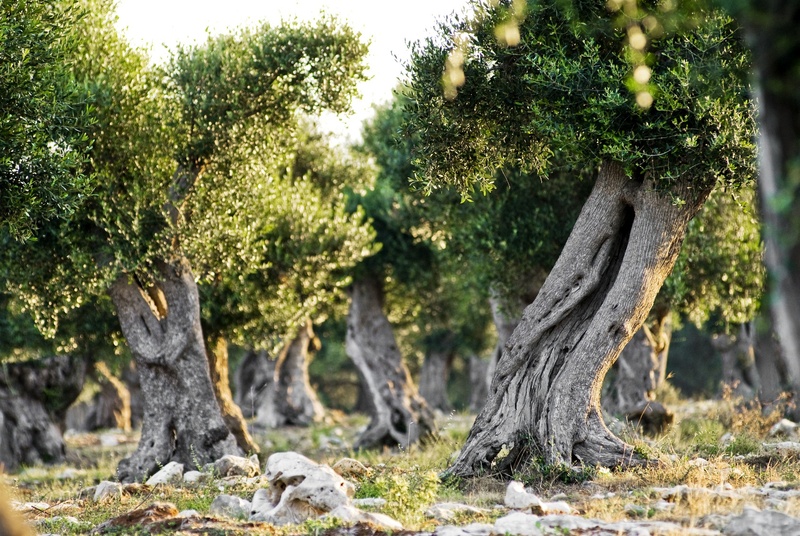 Puglia is predominantly an agricultural region, producing around 40% of Italy's olive oil and a large proportion of its wine (more than any other region in Italy). This essentially agricultural nature influences the region's cuisine. Home cooks and restaurant chefs predominantly use the abundant local produce, such as durum wheat, tomatoes, artichokes, fava beans, fennel, peppers, onions, beef and lamb. In terms of pasta, Puglians pride themselves on their orecchiette, little ear-shaped shells that are still produced by hand on a daily basis by many ladies right in front on their doorsteps. It is usually served with tasty sauces such as meat ragu, broccoli and anchovies, mushrooms or turnip tops. The best pasta is made rigorously from durum wheat flour of the Senatore Cappelli wheat cultivar, one of the local products that Slow Food took under its wing. Puglia's rocky interior is ideal for sheep farming and, in terms of meat, lamb reigns supreme, a trait that Puglia shares with its neighboring region, Basilicata. Feast days are characterized by the fragrance of roasting lamb wafting through the streets and most restaurant menus will feature at least a couple of lamb dishes. Puglia's long coastline and fishing tradition bring large quantities of seafood to the table. Red mullet, octopus, anchovies, gilt-head bream, mussels, sea bass and cuttlefish are featured in many recipes at seafront restaurants. Puglia and Basilicata's comforting country cuisine is a pure expression of popular traditions and the natural bounty of the land. The most widely grown grape variety is Negroamaro (literally black-bitter). Almost exclusively cultivated in Puglia, Negroamaro is used to produce some of the region’s best wines, including Salice Salentino. The title of most famous grape, however, goes to Primitivo, whose wines are generally high in alcohol content and full in body. The hills around Matera give birth to one of the best reds of the South of Italy: the Aglianico del Vulture. The volcanic soil and the aglianico grape tannins make it perfect for aging. White wines count for less than 20% of the overall production but are gradually growing in importance. Local grapes such as Bombino Bianco, Bianco d’Alessano and Verdeca rub shoulders with international varieties including Chardonnay and Sauvignon to produce some excellent results.